Jay-Hova, Hova, Hov, Jigga, Jiggaman, Young, S. Carter, Coach Carter, etc. Young! / Ah! / Uh-uh, uh-uh / Bounce! / etc. Jay Z needs no introduction. Not only is he one of the most respected rappers in the game, he’s also among the most successful, worth approximately $500 million - and he did it all without ever putting his lyrics to paper (some of which have prompted a response from the White House.) Not only that, he’s married and has a child with Beyonce, one of the most respected and successful R&B artists in history. Throughout his prolific 25-year career, the 17-time GRAMMY-award-winning Brooklyn native has collaborated with the likes of Coldplay, Justin Timberlake, Kanye West, Fabolous, UGK, Lenny Kravitz, Pharrell, R. Kelly, Mariah Carey, Timbaland, Jermaine Dupri, Rakim, Santigold, Robin Thicke, Amy Winehouse, Andre 3000, Usher, M.I.A., Lil Wayne, Nas, The Notorious B.I.G., Big Daddy Kane, Frank Ocean, Rihanna, Alicia Keys, Linkin Park, DMX, Ja Rule, Mary J. Blige, Foxy Brown, Rick Ross, J. Cole, Chrisette Michelle, Dr. Dre, U2, Drake, Marina Abramovic and many more. His recent accomplishments include a successful holiday collection with Barneys and his own cigar line and cologne, as well as his new, platinum-selling album Magna Carta Holy Grail. Oh yeah, there’s also the fact that President Barack Obama "owes him a couple". 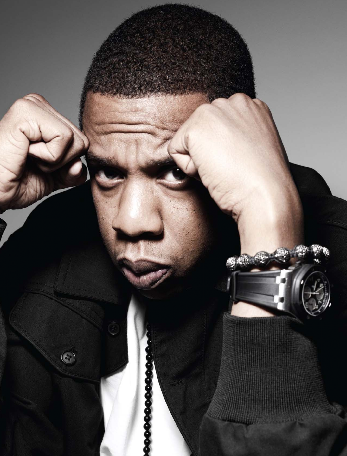 The original title of his debut album Reasonable Doubt was Heir To The Throne. 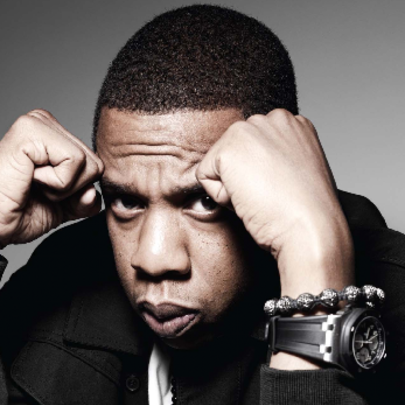 Jay Z had a telephone conversation with The Notorious B.I.G. on the evening of his murder. He’s been unofficially knighted “Sir Hova Of Brooklyn” by Paul McCartney. He nearly had his own line of Chrysler Jeep Commanders. In 2013, Jay Z officially dropped the hyphen from his name.